Bright golden amber color. Spicy aromas of dill pickle, habeñero pepper, lime candy, and leather with a round, vibrant, dry-yet-fruity medium body and a warming, amusing, medium-length root beer, coffee syrup, smoked tootsie roll, porter beer, and nutella on toasted raisin toast finish. An intriguingly chocolatey and smoky bourbon that offers something truly unique. 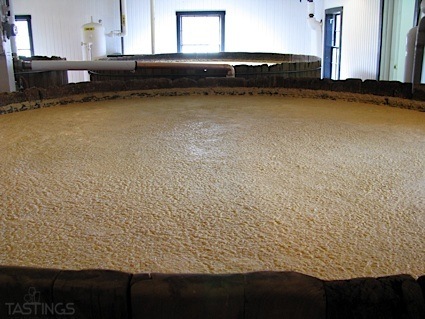 Bottom Line: An intriguingly chocolatey and smoky bourbon that offers something truly unique. 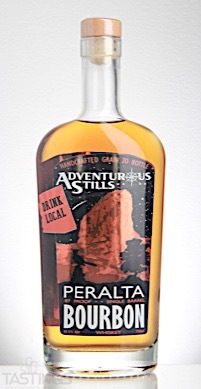 87 • Peralta Single Barrel Bourbon Whiskey 43.5% (USA) $39.99. Peralta Single Barrel Bourbon Whiskey rating was calculated by tastings.com to be 87 points out of 100 on 9/7/2017. Please note that MSRP may have changed since the date of our review.